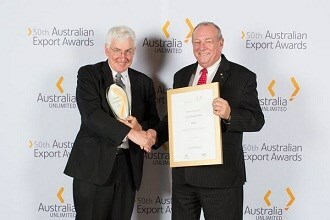 Quality computer numerical control (CNC) machinery maker ANCA received the Large Advanced Manufacturer Award at the recent 50th Australian Export Awards. ANCA director Pat Boland accepted the award which the business also won in 1995. Austrade State Director for Tasmania and Victoria Margaret Bounader said at the awards that the business is an outstanding example of successful, export-focused manufacturing. "ANCA exports 98% of its products and has built its reputation through innovation and a commitment to research and development," she said. ANCA achieved a 19 per cent increase in export sales during 2011/12 and has been significantly increasing the number of employees over recent years. ANCA claims the quality of their new products released this year, along with the number of engineers employed by the company (which exceeded 100) contributed to the award. Mr Boland said the company is pleased with the acknowledgement as it is recognition for the employees' hard work. 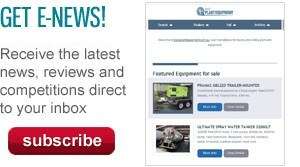 "ANCA staff are very passionate about our products and assisting our customers," he said. The annual event was hosted at the Parliament House in Canberra by Trade Minister Craig Emerson on 28 November.